Kutub Minar was constructed in memory of Mahabharatha war. It was constructed by Vikramaditya and under the supervision of “Varahamihira”. After conquering India back (territory as ruled by Dharmaraja), “Vikramaditya” wanted to declare new “Samvatstara”. He was reminded about Nepal too. After conquering Nepal, he declared “Vikrama Saka” in 57 BC, as it was a practice to do so, after a grand victory over Sakas. Varahamihira, who was at Vikram’s court, reminded him about the old Sakas and original referrence of Yudhistira. To elevate the grand stature of “Yudhistira”, Vikramaditya, searched the old capital “Indraprastha”, that is “Today’s Delhi” and re-located “Yudhistira’s palace” depending on the local legends and the dilapidated remains. f) Different openings in towers to watch different constellation. There were angle measuring instruments (as shown below) to measure angle accurately. This is called Gnamon. It can be used to calculate angles. 1) Height of Kutub Minar was known (As it was constructed to a specific height). 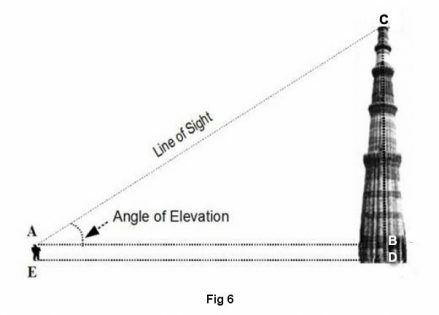 2) The shadow length of the Kutub Minar at a given time can be measured from its base. Here, “b” = height of kutub minar; “a” is its shadow at a time (say Kutub Minar is 8 times its shadow length at around 11 AM). “A’ is the distance of some point, where we get “No shadow” day on earth at that moment (will be around 800 Kms away). This no shadow day was discovered by them. I guess that is where that non rusting iron pillar was situated, so it was brought back to Delhi, to demonstrate their relation. Muslims did not know their link or left it thinking, Iron pillar was “Yudhistira’s Pillar”. Probably before construction of Kutub Minar, an earlier construction with some pillar could be existing here (very ancient time). It is possible that, the “radius of earth” calculate by comparing shadow of this older pillar and pillar at Gaya. Alternately, the distance was calculated by some one staying at Vidisha and Gaya, which are also placed by 800 KMS apart. Note heliodorus pillar shows resemblance to the construction style of Delhi iron pillar. To demonstrate how, it was discovered, the Gaya pillar might have been brought during Kutub Minar’s construction itself. As the Greek scripts demonstrate, the pillar belongs to Gupta Era (250 BC). Gupta era is wrongly dated by modern historians. So, Indians were well aware of all these aspects, and documented in Surya Siddhantha. The knowledge went to Alxandria library during Alexander’s visit to “India”. That knowledge was later decoded by Greeks after couple of centuries. “B” and “C” are circumference of earth. So, B the radius of earth will be 8X800 KM = 6400 KMS. So the circumference of earth was calculated as 2*pi*r = 2 X 3.14X6400 = 40,192 kms (modern value 39,931 KM). Note, the inscription on iron pillar say. (Verse 3) By him, the king, attained sole supreme sovereignty in the world, acquired by his own arm and (enjoyed) for a very long time; (and) who, having the name of Chandra, carried a beauty of countenance like (the beauty of) the full-moon,-having in faith fixed his mind upon (the god) Vishnu, this lofty standard of the divine Vishnu was set up on the hill (called) Vishnupada. Vishnupada all we know is in “Gaya” and this pillar was erected by a king called “Chandra” at Gaya in front of a Vishnu temple there. Probably the temple got shifted to “Falgu river bank” from the mountain top, or the pillar was on this Brahmajuni hill facing some other Vishnu temple. Note, “The great Indian mathematician and astronomer Aryabhata produced categorical definitions of sine, cosine, versine and inverse sine, and specified complete sine and versine tables, in 3.75° intervals from 0° to 90°, to an accuracy of 4 decimal places. Aryabhata also demonstrated solutions to simultaneous quadratic equations, and produced an approximation for the value of π equivalent to 3.1416, correct to four decimal places. He used this to estimate the circumference of the Earth, arriving at a figure of 24,835 miles, only 70 miles off its true value. But, perhaps even more astonishing, he seems to have been aware that π is an irrational number, and that any calculation can only ever be an approximation, something not proved in Europe until 1761”. Gaya being a major “religious” circuit and brahmin concentration, there were strong time measurements done to deterimin “tithi” etc to do religious ceremonies. By synchronising time with “Ujjain”, they knew shift of time due “time zone concept”. So it is possible that, the shadow of this pillar on a no-shadow day could be precisely compared to a shadow of Kutub Minar or at some other pillar in Ujjain by the time of Varahamihira (before 100 BC). 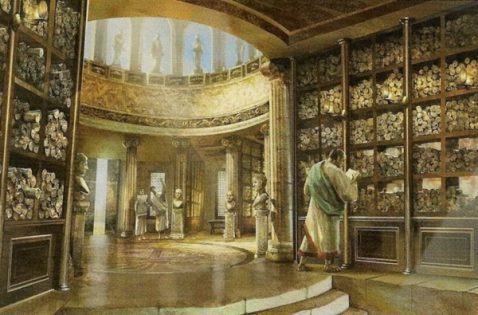 This “knowledge” was transferred through some means to “Alexandria” library. Eratosthenes was a librarian (note figures below) and he just understood the meaning of Indian knowledge and cooked up a story as follows…. His knowledge of geometry told him that if the verticals at both locations were extended to the center of Earth, they would form the same angle that the Sun’s rays make with the pillar at Alexandria. Knowing the 8:1 ratio of the pillar’s height to the shadow length, Eratosthenes could calculate these angles to be 7.1° . Most importantly, 7.1° is about 1/50 of a circle (360 / 7.1 ≈ 50). Imagine Earth divided into 50 triangles, each with a 7.1° angle at Earth’s center and the angle’s opposite side equal to the distance between the two cities. Aha! Eratosthenes reasoned that the distance between Alexandria and Syene must be 1/50 of Earth’s circumference! Thus the circumference of Earth becomes 50 times the distance between these two cities. This distance, quite flat and frequently traveled, was measured by surveyors to be about 5,000 stadia (800 kilometers today). Using this measurement, Earth’s circumference is 50 × 800 kilometers = 40,000 kilometers, which is very close to today’s accepted value. (He also exactly uses 800 Kms to explain his invention…incidental? or fabrication??). The Delhi Iron pillar exists there probably for one of these reasons. A strong reason is required for its survival. It would have been melted to make a field gun otherwise. 1) The pillar was the “original” pillar commemorating “Yudhistirar’s” victory. The king “Chandra” inscribed may refer to a decedent king of “Yudhistira” and the name “Chandra” doesnot refer a king, but the whole Dynasty. 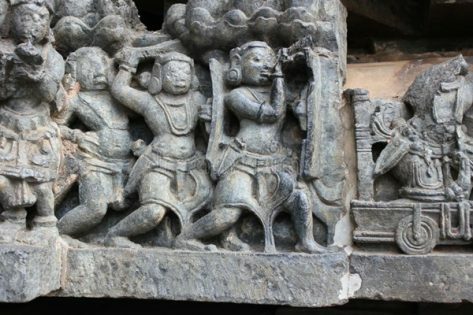 Pandavas were “Chandravamshi kings”. It was erected some where around 200-100 BC. The greek script used, simply implies the writing is after “Alexanders” trip to India (obviously due to availability of Greek script inscribers in India, who were not there before). Because of this pillar the place was identified and Kutub minar was constructed. The word “Vishnupada Giri” doesnot permit this argument, as the pillar doesnot belong to the complex. 2) The iron pillar served as the “Astronomer’s pillar” to study celestial bodies. May be at Vidisha or at Gaya. As temple had fallen, the pillar was brought here to respect and remember erlier astronomer. Could also be to explain relative shadows, that helped to crack diameter of earth (which was the base to find all other measurements). 3) Kutub Minar was used by Muslim kingdoms too to continue the science of “Hindus”. So there were scientists. The pillar was brought here to study, as it was impressive for that time kings too to learn anti-rusting properties. 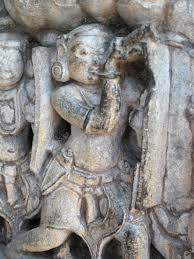 4) The pillar was simply a “Garuda pillar” to a Vishnu temple inside the Qutub complex. (This is most unlikely, as it mentions Vishnupada giri). This argument is to be considered, as it would be a back breaking effort (and costly too) to bring the pillar in one shape from 800 Kms to delhi (say from Gaya). Many argue that, the pillar existed here. Because of this, they argue, pillar existed here. But, the kings moved not just 1 but many field guns for long distances in those times (Muslim invasion times) using elephants and oxes. So, moving one pillar is not that of a problem. The argument is just a diversionary argument. 5) The pillar was installed here by Muslim rulers themselves. They wanted to show it not as a trophy of conquest, but show case “technical superiority” to visitors (will for sure include people from enemy camps). As they realized the iron is of superior quality and non rusting, it will instill fear among enemies that, Muslim army now has this superior technology with which swords and field guns will be made. b) Muslim kings tried testing it, intentionally. Both are not a sound arguments. If the people feel it is an asset (to study and replicate it for their army), they will not try to destroy the specimen. So, it only points to a accidental act. 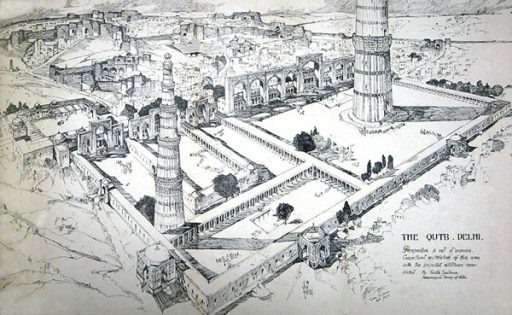 As we do not see any such damage to qutub minar, the accidental fissure happened before construction of “Qutub minar”. It points to the time, when the invading army used field guns to demolish the temples that stood in the complex. This clearly establishes the fact that, the Pillar was standing here, before the first muslim invasion to Delhi. As the pillar does not belong to the complex (due to its inscription of vishnupada giri), it must have been brought here before Muslim rulers. Hindus moving this pillar (they do not use broken things in another temple complex), points to only two options. One, It was related to “astronomy”. It has a strong story like, helping to find “earths diameter”. So, it was brought here for preservation. Second, it was brought here for scientists to study, as the technology of non-rust iron was lost by that time it was brought here. As the complex was frequented by scientists, it was placed here to “challenge” scientists to “crack the code”. 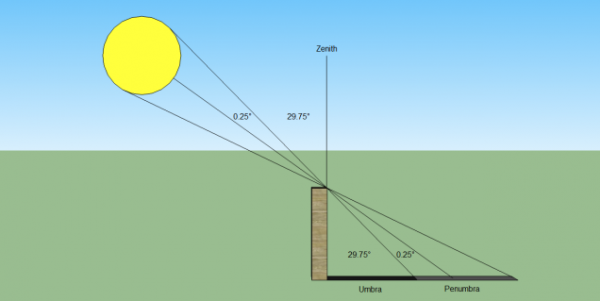 Now let us see, how Sun diameter can be found using Kutub Minar. A very close observation of shadow gives out “Umbra” and “Penumbra”. 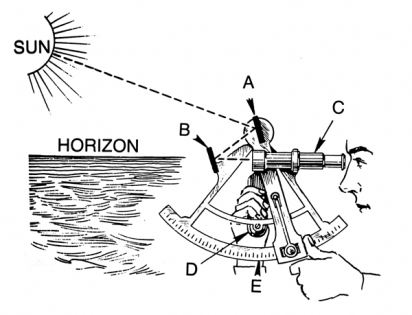 A precise angle measurements and application of geometry discloses the “diameter” of Sun. Hence radius of sun can be deduced. 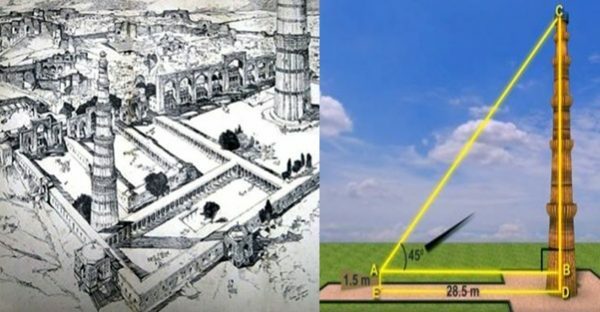 For better precession, the height of the tower has to be “as high as possible”..So, there is a reason for the height of the Kutub Minar. It is not just by arbitrary size, it was constructed. 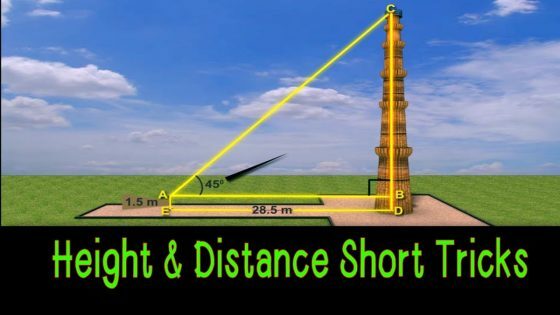 Now let us see, how distance to moon and distance to sun can be calculated using Kutub Minar. 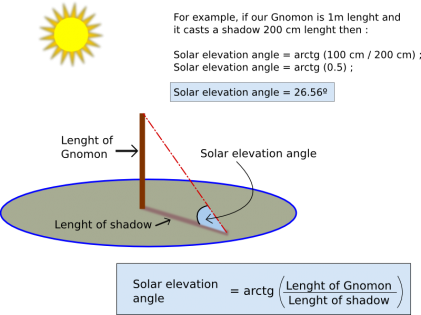 S (distance between sun and earth) = (s-t) tan (O); where “O” is the angle of incidence causing the suns shadow on moon. When we observe full moon, sun will be exactly opposite. On that day, astronomers calculated the angle to sun, using gnamoon. the angle was 1/7 degrees. Using their table, now, they could calculated the relative distance of earth, moon and sun. Since we know the distance to sun, we can calculate the distance to moon. Indian Astronomers were original, genuine and intellectually astounding. This article was first published at the author’s personal blog, soghal.blogspot.com. Ramaka Sakala is an Analyst, Researcher, Entrepreneur, Technocrat. Interested in pursuing "Truth".